October is Bullying Prevention Awareness month, and while I feel we should talk about bullying every month, I am glad for the extra attention it is getting. 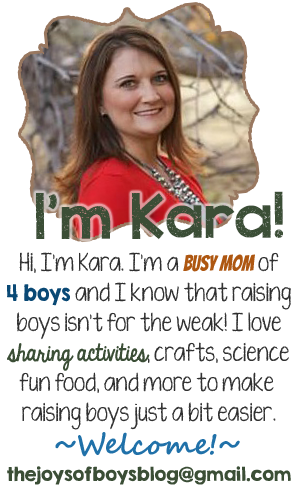 As a mom of 4 boys, I feel it is important to discuss boys and bullying and the information every parent should know to keep their kids safe. Did you know that 1 out of 4 kids are bullied everyday? 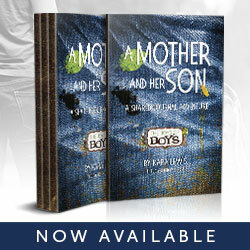 Did you know that 160,000 students miss school for fear of being bullied? 1 in 5 students admits to being a bully? This is not okay and needs to stop! 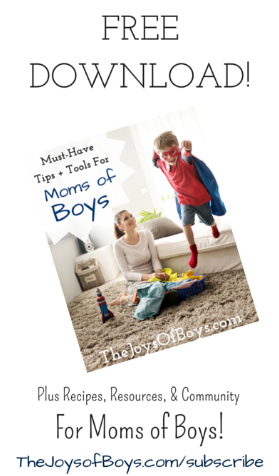 This post is about Boys and Bullying and what you need to know to keep your child safe. I know what it is like to be bullied. I didn’t know, and still don’t know why I was the chosen target of the “mean girls” at my school, but I know that bullying can have lasting and in some cases devastating effects on a child. 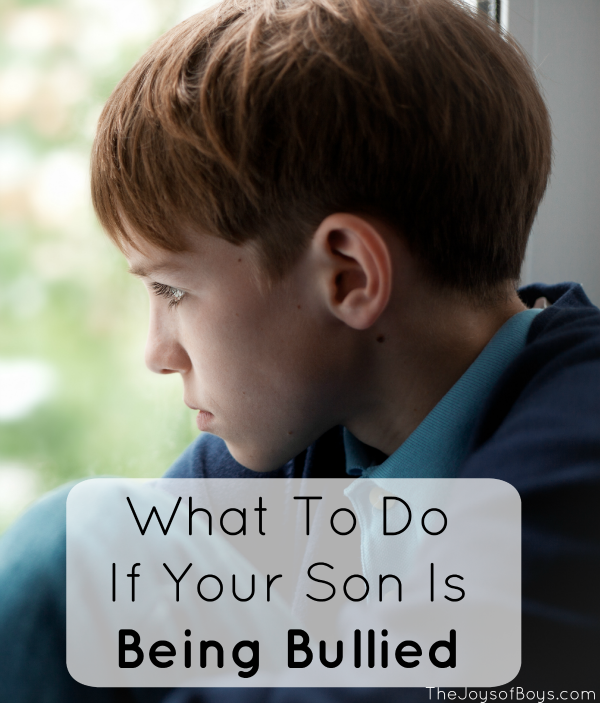 I can remember with exact detail the situations that I dealt with and the anxiety that comes when you don’t know how your bully will treat you each day. Those memories alone make me want to do all that I can to stop bullying in its tracks. The types of bullying boys and girls participate in can be quite different. While girls tend to bully through exclusion, boys tend to get physical. Both groups use verbal bullying to dominate people they see as weaker than them. 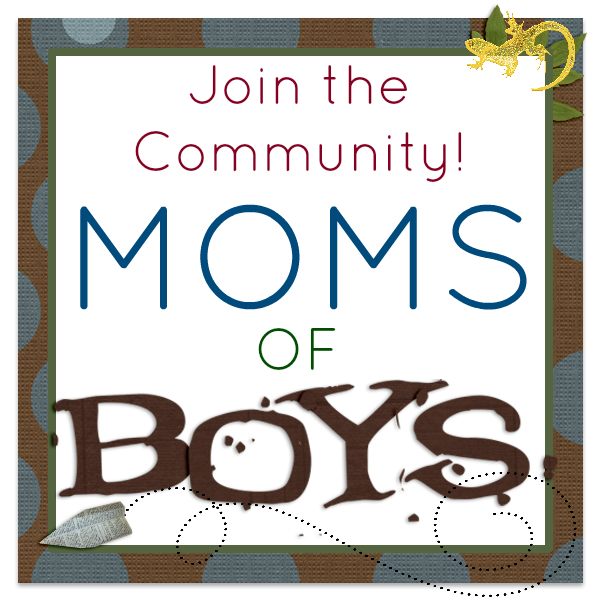 Since I am raising boys, I am focusing this post on boys and bullying. 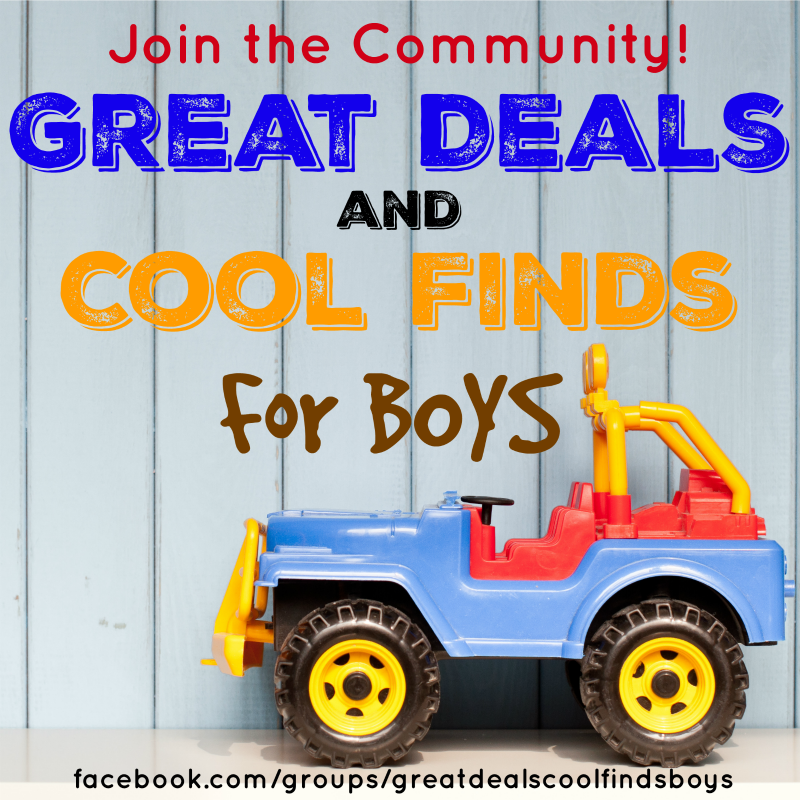 Boys tend to socialize in larger, less defined groups where they can compete for the “dominant” position within the group and they often use physical aggression to show their dominance. Male bullies like the status that a fight brings them and will often attack others that they see as weak or unable to defend themselves. The dominant bully will often have a group of followers who will do anything to impress him. You can actually see this same type of behavior demonstrated in wolf packs. 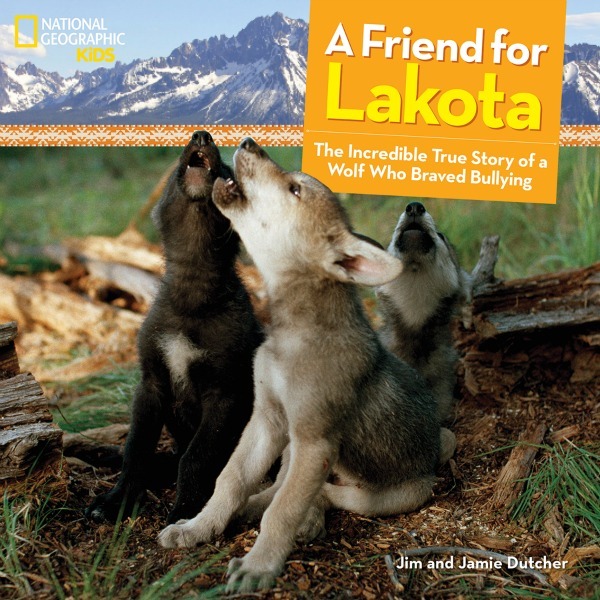 In the National Geographic Kids book A Friend for Lakota: The incredible True Story of a Wolf Who Braved Bullying, wolves demonstrates this type of behavior and show how the weaker or less aggressive wolves typically become the target of bullying. It also shows how Lakota, the bullied wolf, was able to overcome the bullying. It’s amazing to me that so many things in our lives can also be witnessed in the animal kingdom. Recognizing warning signs is the first important step to taking action against bullying. 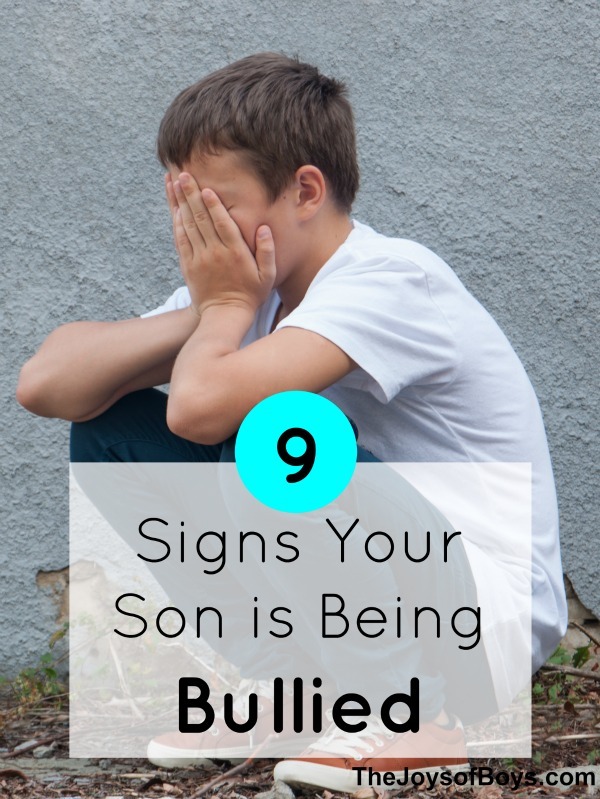 These signs could imply your son is being bullied. 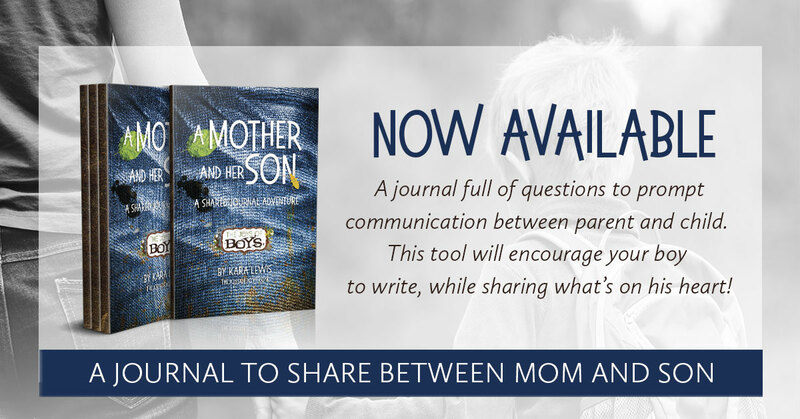 Listen and be supportive of your son– Take the time to get as much information about the situation as possible before reacting. Listen and let him talk and reassure him that it isn’t his fault and that bullying is never okay. Research the situation – Find out as much information as possible about the situation. When and where did the bullying happen? Were there witnesses? Has this happened before? Have as much information as possible written down about the situation. Give your child advice on what to do if bullying happens again – Teach them not to respond, or to respond by laughing it off or joking like it’s no big deal. 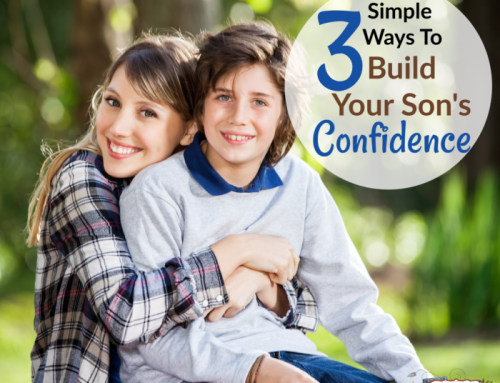 Build up your child’s confidence and teach them ways to respond without fear or sadness. A bully is looking to make their victim upset, and if they see it doesn’t work, they may leave them alone. If that doesn’t work or they feel that they are in danger, they should walk away and stay away or find a trusted adult. 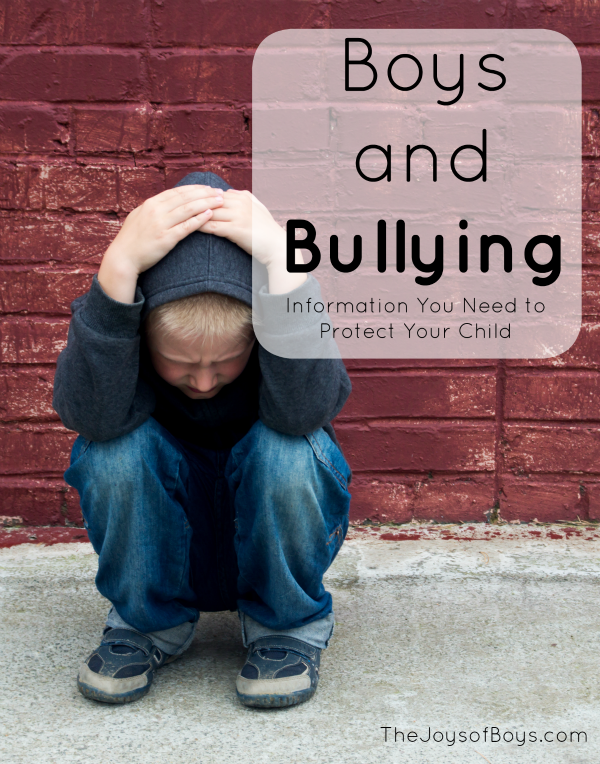 Many times bullying can be resolved when a child stands up for themself. Contact the school administration and alert the teacher – If bullying continues, contact the school. Every school has a no-bullying policy. They should have a plan in place for when bullying occurs. Make sure you keep your emotions under control when talking with the school and have the details of the bullying written down so they know exactly what has happened. 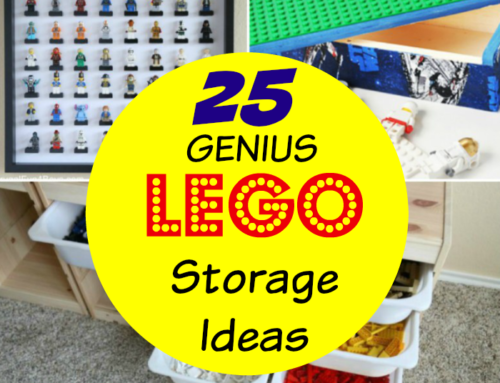 Leave the school with a plan of how they will handle the situation and follow up with them as frequently as you need to. Be proactive – Until the situation is handled, teach your child to stay with a group of trusted friends or where they can be near adults. Avoid places where bullying could easily take place out of sight from adults. Teach your child how to defend themself if there is a threat of physical danger. Maintain open communication – After the situation has been handled, keep a close watch on your child and especially watch for some of the lasting effects of bullying such as depression and low self-esteem. If you sense that something is wrong, you may want to seek the help of a counselor or other mental health service. And if your child is feeling hopeless, helpless or thinking about suicide, contact the National Suicide Prevention Lifeline online or at 1-800-273-TALK (8255), or 911 immediately. Even if your child has not been bullied, there is a good chance they have watched someone else being bullied. 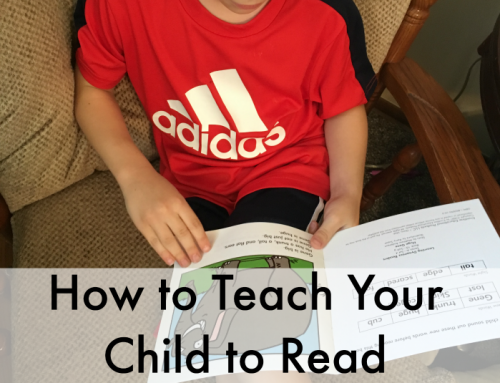 We need to have the courage to stand up for others and to teach that to our kids. If we stand by and do nothing, then in a way, we are bullying that person too. Teach your children to set a good example by helping someone get away from a bully or by telling an adult. This video will melt your heart as you watch these boys stand up to bullying and take in a boy who was being bullied. 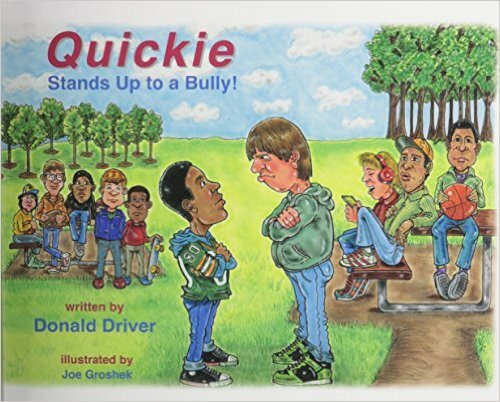 I also love the book Quickie Stands Up to a Bully by Donald Driver. It is all about taking a stand and speaking up when you see bullying happening. What advice do you have for helping kids with bullying?